Deliveroo drivers say they will be "forced" to compete for jobs and fear they could earn less money, because of new changes to the app. Deliveroo drivers say they will be "forced" to compete for jobs and could earn less money, because of new changes introduced to the app over the past month. 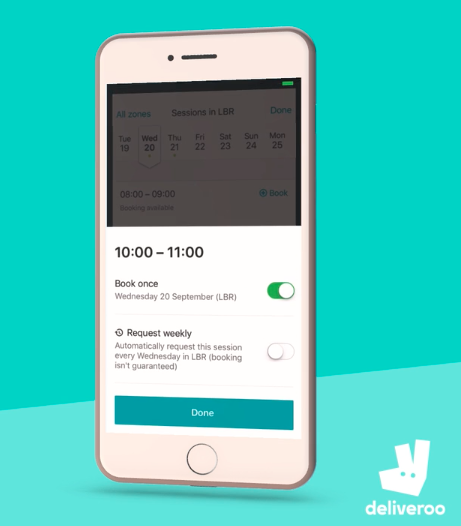 The rollout of a new booking system, due to be completed this week, affects drivers on an hourly rate who currently work the same shift pattern every week. Under the new system, they will no longer be automatically given those hours, which they typically had on a rolling basis. Instead they will be required to book shifts, subject to availability, at the start of each week or search availability in other "delivery zones" where work is available. The drivers can request the booking is repeated each week, but this cannot be guaranteed. 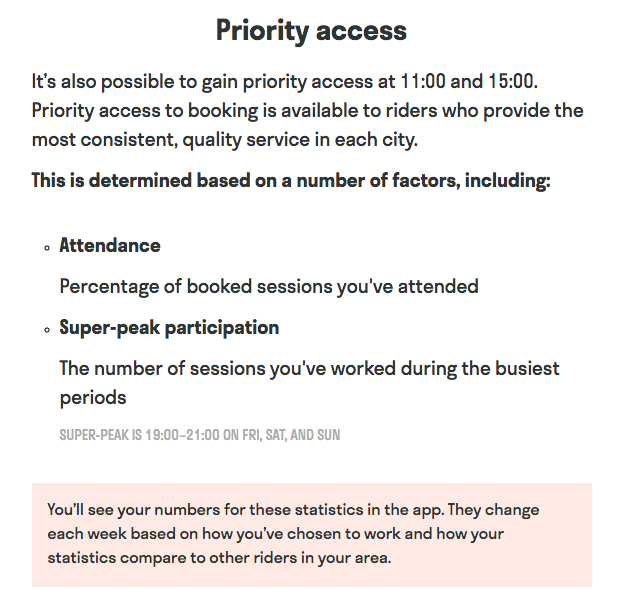 A new "priority" booking feature for high-performing drivers also means popular shifts may get booked up fast, drivers say. The priority system, Deliveroo states in communications to drivers seen by BuzzFeed News, is open to those who "provide the most consistent, quality service", and work the busiest shifts. 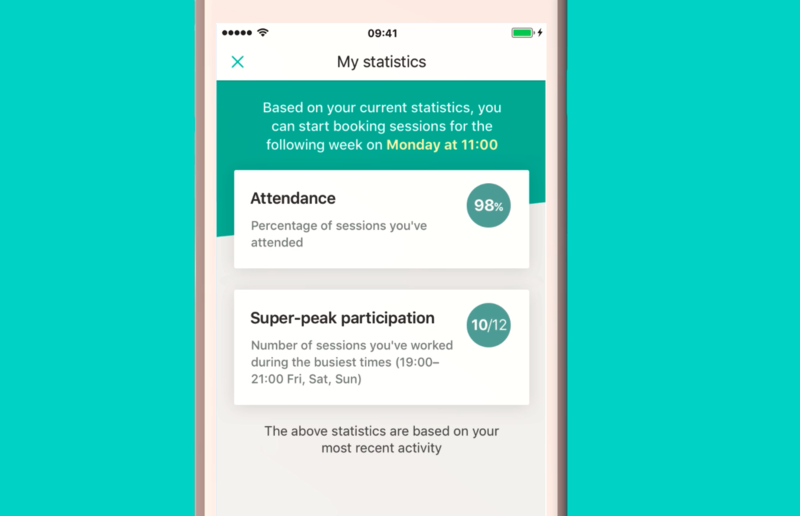 Driver performance and attendance is tracked by Deliveroo and a weekly summary is given to the drivers. Those who qualify can book at 11am on Monday before general bookings come available at 5pm. Deliveroo said the changes had been made following "extensive feedback from riders" and said the new system "provides greater flexibility while also offering greater certainty over earnings by accurately matching rider supply with customer demand". But three Deliveroo drivers told BuzzFeed News they had concerns about the arrangement. One driver, who has worked for Deliveroo in Manchester for two years but did not want to be named, said it was "stressful" not to be able to guarantee his hours as he had done before. He claimed he will see his typical weekend hours reduced this week as the new system comes fully into effect. "It's made people insecure ... Everyone is competing against each other," he said. "We want consistency. "I've got about 10 hours less coming this weekend, and I'd normally have 25 hours." Another moped delivery driver, 40-year-old Sergio Ramos from London, told BuzzFeed News he fears the new rules could mean he may earn less. Deliveroo is capping the maximum hours that can be booked at the start of the week at 55 to avoid people reserving too many hours. More hours can come available over the week subject to demand, but Ramos said because he works more than 70 hours per week, seven days a week, there is no guarantee he will not miss out. "If they drop my hours by 20 hours a week I will not be working for them anymore, that’s for sure," he told BuzzFeed News. "Or maybe what’s going to happen is I’ll do what some other drivers do. Some of the guys work for three companies [including Deliveroo and JustEat], which is mad, it’s dangerous." Jim Benfield, a Deliveroo driver and secretary at the Couriers and Logistics Branch at union IWGB, which is bringing a tribunal case against Deliveroo and is seeking to argue its drivers are not self-employed but instead are due worker rights, said the new system "forces riders to compete for their weekly shifts". "I've heard from riders across the country who are concerned this system will undermine the security of their already quite precarious contractual arrangement with Deliveroo, as they will be unable to rely on regular shifts," he told BuzzFeed News. "It's the constant not knowing." A Deliveroo spokesperson added: "Riders can book sessions in advance, cancel at any time or choose to turn up at the last minute. They can work wherever they want, and the tool informs them where customer demand is high. "Deliveroo riders are at the heart of our business, and we will continue to engage with them to ensure we are providing the well-paid, flexible work people want."